Dr. Takigawa is available when you have a dental emergency. Dental emergencies can happen at the most inconvenient time, which is why Dr. Takigawa does his best to help you when you are in pain. 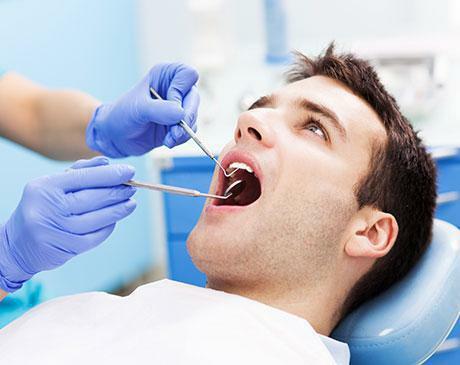 Some dental emergencies can be very serious, it is important to see a dentist right away. Toothache symptoms can be a sharp or dull pain in or around a tooth. The most common cause of a toothache is the tooth decay. You might noticed the first sign of tooth decay when you eat something sweet, very cold or very hot. If you are experiencing tooth pain contact us today! If you have a knocked out tooth it is important to see your dentist as soon as possible. Lost teeth have the highest chance of being saved when seen by the dentist and returned to their socket within one hour of the accident. What do you do when you have a knocked out tooth? Retrieve the tooth, hold it by the crown (the part that is normally exposed in the mouth), and rinse (not scrub) any dirt off of the root portion. If possible, try to place the tooth back into its socket without forcing it. If it does not slide in passively, put the tooth in a small container of milk or a product containing cell growth medium. One of the most common causes of tooth breakage is decay. When teeth become decayed and decay is not properly treated, the structure of the tooth weakens, making breakage much more likely. Other causes are trauma such as a sports injury, a fall or a car accident, biting down on hard foods or objects, or using teeth as prying tools. Teeth that have large fillings are also more likely to break, especially if the fillings are very old or decay has formed under them. Breaking a tooth constitutes a dental emergency, and you should call the office immediately to schedule an appointment to have it taken care of. Until your appointment, cover the rough or sharp edges of the tooth with sugar-free gum or dental wax and avoid chewing on that side of your mouth. You can also take over-the-counter pain relievers to reduce discomfort. Dr. Aaron Takigawa is an Orange County native. He was born in Westminster, then lived most of his childhood in Irvine, attending and playing basketball for Northwood High School. After moving around Northern and Southern California for seven years, he still proudly claims Orange County as his home. One of Dr. Takigawa’s most cherished and rewarding memories of dental school was participating in mobile dental clinics in the rural Philippines , in which 1700+ people received dental care for the first time in their lives. With so many people in need, and limited contact time with each, the team worked hard to bring a more ongoing impact. The solution was to connect with local missionaries who were living there long term and could raise the collective dental IQ of the rural towns. This experience led Dr. Takigawa to continue on with underserved populations, working at community health centers in San Diego. Now in Irvine, Dr. Takigawa aims to provide dentistry of the highest quality while still accessible to people of all walks of life. His passion is the relationship – positive, lasting impact in more ways than just filling teeth. Welcome to OC Lakes Dental! We are quite honored that you have selected us to help you achieve your optimal oral health. We understand that, over the years, “going to the dentist” has not always been a phrase of celebration, but we hope that we can make your time with us as pleasant as possible. We are an in-network provider for Delta Premier and PPO insurance. In many cases, we can accept other PPOs as well. Please let us know before hand so we can check on that for you. If possible, please download the New Patient Form print and fill it out before coming in for your first appointment. This will save you some time in the waiting room and allow us more time to get to know one another. Conveniently located in the heart of Irvine, CA Dr. Takigawa and his staff look forward to seeing you. Call or book an appointment online today! Dr. Takigawa participated in mobile dental clinics in the rural Philippines. It was quite an eye opening experience where 1700+ people received dental care for the first time in their lives. With so many people in need, and limited contact time with each, the team worked hard to bring a more ongoing impact. The solution was to connect with local missionaries who were living there long term and could raise the collective dental IQ of the rural towns. The experience definitely confirmed Dr. Takigawa's decision for a career in dentistry and helping people. We accept most major dental PPO plans. Please provide us with your insurance information either before or during your office visit so that we can determine your eligibility and benefits. Even if we are out-of-network, coverage for routine check-ups and basic level treatments can still be quite substantial or even identical, so please still let us know so that we can check that for you. We are enrolled with CareCredit, which allows you much more flexibility for financing, without interest!